A precocious graduation exercise from a gifted teenager, Sergei Rachmaninoff’s Aleko is an object of curiosity to opera aficionados as well as to lovers of Russian music generally, for few people in this country have heard it except, perhaps, on recording. The Commonwealth Lyric Theater (CLT) will present what is thought to be the opera’s first complete performance on the East Coast since 1916, in four performances at Brighton’s Center Makor on June 9th-13th. In fact, the great Russian operatic repertoire itself, largely neglected in the U.S. through much of the 20th-century, has only recently been making a comeback, due in part to the international success of the Russian conductor Valery Gergiev and a number of Slavic opera stars. Furthering this resurgence locally are the passionate pair of artists overseeing this new production, Alexander Prokhorov and Olga Lisovskaya, of whom more later. Aleko is relatively easy to perform, requiring no heroic voices. CLT’s two casts combine fine local talent with internationally recognized singers. Many choral singers and dancers—professionals and semi-professionals—have more or less donated their services, often because they have been yearning to perform this opera for years, amateurs in the very best sense. 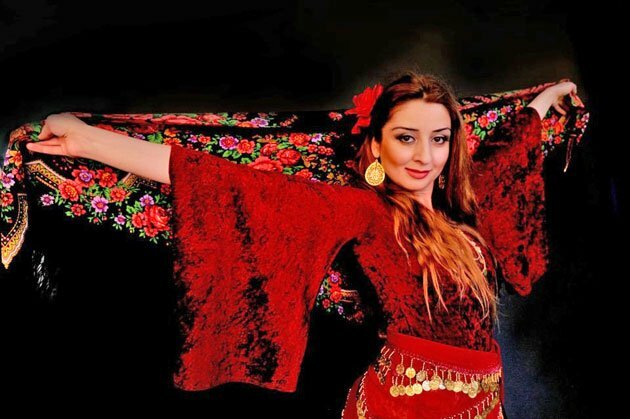 The dancers, in particular, are drawn from three different organizations: CLT, Lucky Ten Young Talents Studio, and Jewish Musical Theater Firelech, the brainchild of Anna Kravets, a highly honored choreographer as well as an expert on world folk dances, especially Jewish. 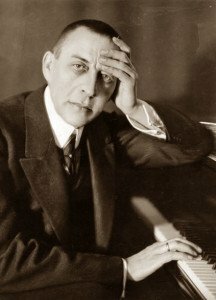 A further advantage of Rachmaninoff’s work is an unusually comprehensible plot, very similar to Bizet’s Carmen: a bourgeois man becomes consumed with jealousy when his gypsy girlfriend throws him over for a new lover, and murders her (as well as the new lover, in Aleko). The excellent reason for this similarity of plots is that Alexander Pushkin’s story, The Gypsies, so inspired the French writer Prosper Mérimée that he translated it into French and published is alongside his own novella, Carmen, which formed the basis of Bizet’s opera. Given their limited budget, Prokhorov and Lisovskaya have worked wonders in lining up the talent for this production. To cite just two examples: singing the role of Aleko in one of the casts is Mikhail Svetlov, an international competition winner and principal soloist of the Bolshoi Theater, who has sung on the world’s most prestigious opera stages, including La Scala, Teatro Colón, and the Metropolitan Opera; as the female lead, the gypsy Zemfira, the other cast has Knarik Nerkararyan, also an international competition-winner as well as recipient of a scholarship from the Armenian General Benevolent Union, who has performed at Weill Recital Hall at Carnegie Hall. The conductor of these performances will be Lidiya Yankovskaya, the gifted and adventuresome music director of Juventas New Music Ensemble and Harvard’s Lowell House Opera locally, and of the Center for Contemporary Opera’s Development Series in New York. 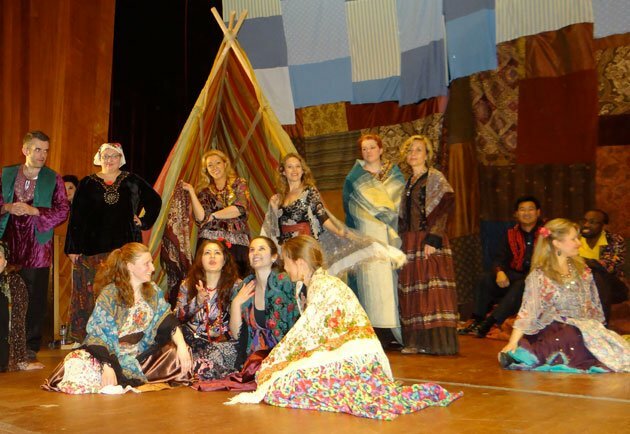 The variegated culture of gypsies will be reflected in the work of scenic and costume designer Olga Maslova. The venue is the Center Makor, a synagogue whose large performance hall is blessed with good acoustics. However, even its sizable stage represents a challenge due to the absence of an orchestra pit. Sharing the stage among cast, chorus, dancers, and orchestra necessitated reorchestrating Rachmaninoff’s score for a band of 22, the work of composer Moshe Shulman. After listening to historic recordings, Shulman has also seen fit occasionally to insert other pieces by Rachmaninoff, Tchaikovsky, and gypsy songs. As CLT has staged numerous operas at Center Makor before, experimenting with the positioning of the orchestra, Prokhorov and Lisovskaya feel they have determined the optimal placement such that it is fully heard but voices can easily project over it. As previously mentioned, this production is a labor of love for Alexander Prokhorov and Olga Lisovskaya, both professional singers who grew up in the former Soviet Union. Under the U.S.S.R., concert tickets were subsidized and very cheap; citizens of all stripes were familiar with the mainstream concert and opera repertoire. Lisovskaya recalled attending the opera almost every night as a child as well as singing in the chorus in Aleko, wearing a costume sewn by her mother. Since settling in greater Boston, she has sung at Longwood Opera, New England Light Opera, Lowell House Opera, and Juventas, among others. Prokhorov’s gifts led to his studying at Boston University’s prestigious Opera Institute and subsequently singing with Boston Lyric Opera, Boston Bel Canto, Opera Boston, and the Boston Early Music Festival, among others. Additionally, he and Anna Kravets cultivate future generations of vocal artists at their Lucky Ten Young Talents Studio in Newton and Center Makor. In summation, although generally Russian opera is enjoying a renaissance in the U.S., this will be a rare opportunity to see and hear an early work of Sergei Rachmaninoff that already reflects his burgeoning talent, performed by an impressive array of artists; in addition, its plot will be more or less familiar already to anyone who knows Carmen. All opera lovers and musical treasure-hunters should seek out Aleko. Performances are on Sunday, June 9, at 3:00pm and 7:00pm; Tuesday, June 11, at 8:00pm; and Thursday, June 13, at 8:00pm, at Center Makor, 1845 Commonwealth Avenue in Brighton.